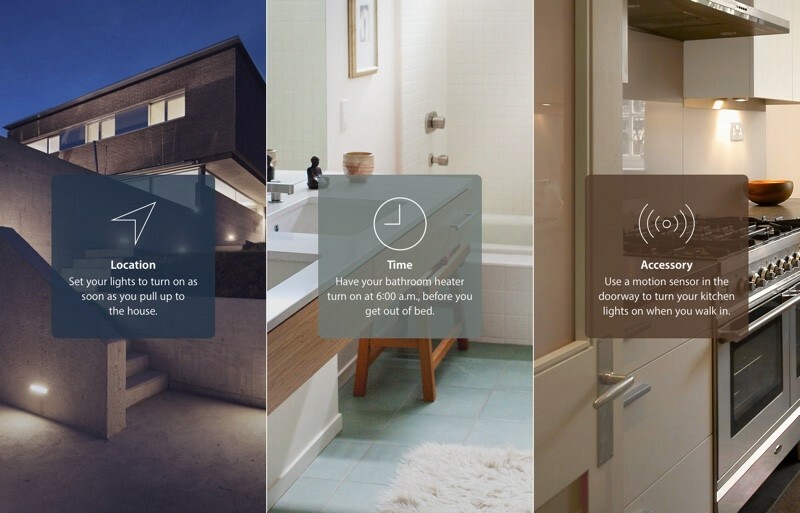 HomeKit is Apple's home automation platform for controlling smart home products with iOS apps and Siri voice commands. The platform was announced at WWDC 2014, and the first HomeKit-enabled products were released one year later. The software framework communicates directly with connected accessories within the home, securely encrypts all data and even works remotely over iCloud remote access with a third-generation Apple TV or later when you are away from home. HomeKit accessories have been available for over six months now, but you may be wise to hold off on outfitting your home with connected devices until the software matures. Apple's home automation platform shows a lot of promise, but its various connection and setup issues can make it unreliable at times. For now, it is likely best to stick with your regular old lights, locks and plugs. 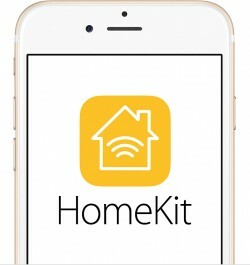 If you are looking for a fun weekend DIY project, however, and can cope with a few growing pains, HomeKit is a good option for iPhone, iPad and iPod touch users looking to directly control multiple connected home accessories using one platform. Getting started with HomeKit takes less than five minutes, and the first accessory in your collection can be purchased for under $40 from your local Apple Store or home improvement retailer. iOS 8 supported devices include the iPhone 4s or later, iPad 2 or later, iPad mini or later, iPad Pro and fifth-generation iPod touch or later. HomeKit-enabled accessories have an official "Works with Apple HomeKit" badge on the product packaging, pictured right. These accessories are certified by Apple under its MFi Program. There are a growing number of HomeKit products available to automate several items in your home, including lights, door locks, plugs, switches, ceiling fans, thermostats, smoke alarms, window shades and more. 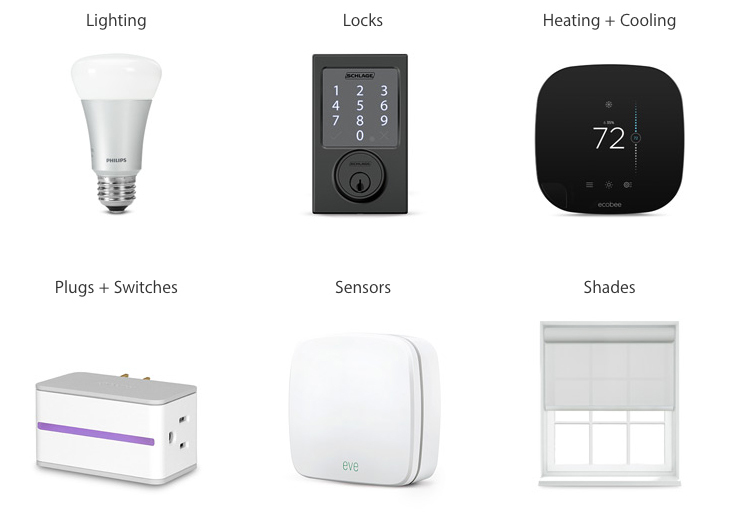 Apple provides an updated list of HomeKit-enabled accessories on its website. The first HomeKit-enabled accessories were released in June 2015, led by Lutron, iHome, Elgato, Insteon and Ecobee. A number of accessory makers have since followed suit, including ConnectSense, First Alert, Honeywell, Hunter Fan Company, iDevices, Nanoleaf, Philips, Schlage and others. 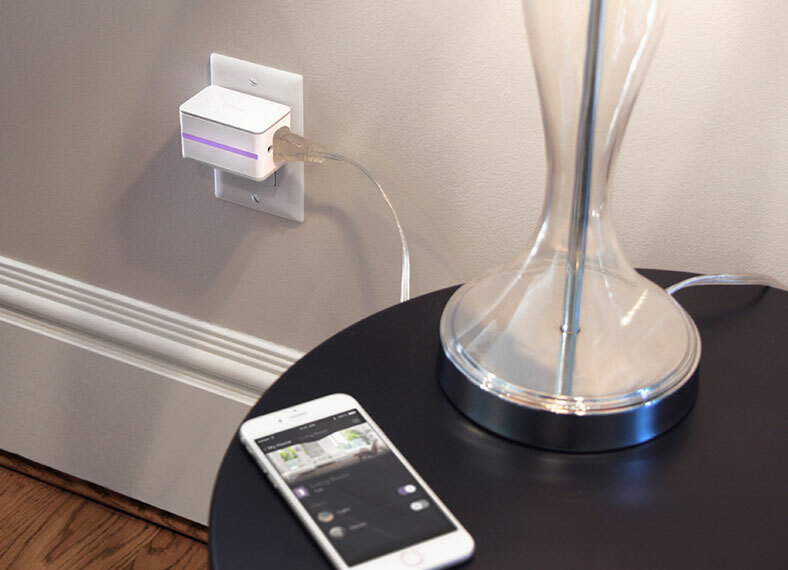 The iDevices Switch, for example, is a smart plug that enables HomeKit users to power on and off any household object plugged into the accessory using Siri or a toggle in the free iDevices Connected companion app. iHome's iSP8 SmartPlug and the dual-outlet ConnectSense Smart Outlet are two other similar smart plugs. Meanwhile, at CES 2016, the Hunter Fan Company announced the first HomeKit-enabled ceiling fans. The Symphony and Signal ceiling fans connect to a home's Wi-Fi network and can be turned on or off using Siri voice commands. The fans can also interface with other HomeKit products like lights and thermostats using Scenes and Triggers. HomeKit accessories can be purchased online or in stores from Apple, Amazon, Best Buy, Home Depot, Lowe's and select other resellers. HomeKit-enabled accessories have a setup code sticker that is included on the product or in the instructions. To complete the pairing process, open the HomeKit accessory's companion app and point your device's camera at the setup code to scan it. HomeKit devices are controlled through iOS apps and through Siri voice commands. Getting the most out of HomeKit requires some initial setup, giving devices specific names for use with Siri and organizing them into rooms and zones within the home. Creating a HomeKit setup is done through the iOS app that connects to each accessory. iOS apps are all built around Apple's HomeKit guidelines, but every HomeKit accessory app has a different look and you'll find that some apps have functions others don't. Organizing HomeKit products into a home for the first time can be confusing, but once you know the difference between each of the classification options, you'll be able to group your devices together in multiple ways to create the best setup for your home. Names are used to control an individual HomeKit device through Siri and are assigned to every HomeKit accessory. Out of the box, HomeKit products can be called by their product name or a name assigned by the product manufacturer (such as Outlet 1 or Outlet 2), but you can call them whatever you want by adding a Siri Name. Names need to be unique to each product, and it's best to pick something that Siri can recognize without mistaking it for another word. Naming the Hue Go light "Hue Go" is a bad idea, for example, because Siri will often interpret it as a web search for Hugo rather than a HomeKit product. Along with a name, HomeKit products can be given a function and controlled via Siri that way. For example, if a fan is plugged into the HomeKit-connected iDevices smart outlet, you can tell the iDevices accessory app that it's a fan and Siri will know what the fan is when given a command like "Turn off the fan." Function names will often mirror the Siri Name given to a product, but assigning a function can be useful if you've provided your accessories with unique names. Most people, for example, might name the smart outlet with a fan plugged into it "fan" but if yours is "AirBringer, Slayer of Heat," having "fan" assigned as a backup function will ensure Siri responds to both names. Service Groups are a way to group accessories by type instead of by location. All desk lamps might go into one service group, while all smart outlets might go into another. With service groups assigned, Siri will recognize commands like "Turn off all the desk lamps" or "Turn on all the outlets." HomeKit products should also be assigned to a room, enabling room-based voice commands like "Turn off the lights in the bedroom." A Siri command that incorporates a room will control all of the devices assigned to that room. 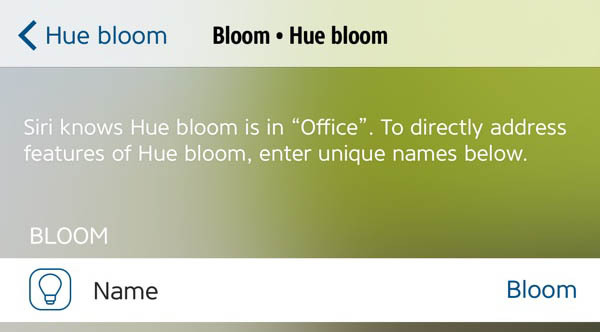 Like Siri Names, Room names need to be unique. A "Room" can be any part of your home, ranging from a bedroom or bathroom to a dining room or office. "Rooms" can even be set for outdoor areas, such as a balcony, deck or front porch. In your accessory app, add virtual HomeKit "Rooms" for each room in the house that will have a HomeKit product. HomeKit accessories can then be assigned to the room as they're added to your setup. "Zones" are simply a collection of multiple "Rooms" that represent a larger area of your home, ranging from "upstairs" and "downstairs" to "bedrooms" and "bathrooms." Two bedrooms and a bathroom might be assigned to the "upstairs" zone, which would allow all devices in those rooms to be controlled with a command like "Turn off the lights upstairs." HomeKit takes home automation one step further with "Scenes," which let you connect and control combinations of accessories at once. 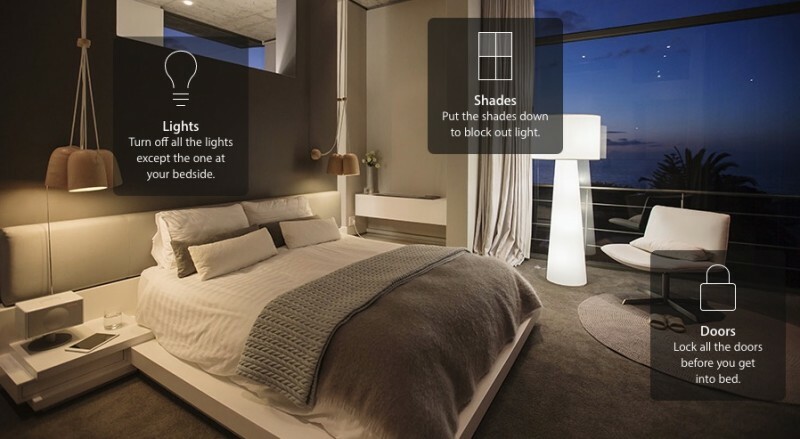 For example, you can create a scene named "bedtime" that turns off all the lights except the one at your bedside, puts the shades down to block out light and locks all the doors before you get into bed -- all with one command. Another scene is "arriving home," which can automatically turn on the lights inside your home, set the thermostat and unlock the front door without a key. Conversely, the scene "leaving home" can be set to turn off all of your lights, lock your doors and lower the temperature on the thermostat. Apps will come with sample scenes available as an example, and setting them up is as simple as assigning HomeKit products to each one by selecting a scene and choosing the desired accessory. You can also create as many custom scenes as you would like with any combination of products. Asking Siri to implement a scene can be done by simply saying the scene's name, such as "good night," but it's often more effective to use a command like "set the good night scene." Triggers are a relatively new HomeKit feature introduced in iOS 9 and not all apps will support their creation. These may also have different names within apps, like "Events" or "Timers." Triggers automate the functions of HomeKit devices, unlike Names, Rooms, Zones, and Scenes, and they are not used with Siri. You can set triggers for specific times or for specific events. You may want all the lights in the house to start turning on at sunset, something that can be automated with a trigger. Time-based triggers can be set to go off just one time or to repeat each day, and they can incorporate full scenes. A scene that turns on the lights and turns up the thermostat, for example, can be set to go off at a specific time of day. Event-based triggers allow you to set up scenarios where one HomeKit product triggers an effect in another HomeKit product. With a motion sensor like the Eve Door, a trigger can be set up to turn on the kitchen lights whenever the door opens. Triggers can also be restricted through conditions. The aforementioned trigger with the Eve Door that turns on the lights can be set to do so only after sunset. Or a time-based trigger that turns on the lights at a specific time can be set to do so only when you're home. Few current HomeKit products support Triggers, but this is one of the most exciting aspects of HomeKit because it promises deep automated control over linked accessories. Controlling home products like lights via Siri is often more time consuming than simply hitting a light switch, but full home automation is where HomeKit's power truly lies. All HomeKit accessories are controlled in one of two ways -- through an iOS app on an iOS device or through Siri commands on an iPhone, iPad, or Apple Watch. Accessing HomeKit products through Siri is one of the most "fun" aspects of the platform, and the convenience factor of hands-free control can't be underestimated. As mentioned above, Siri commands can incorporate Names, Rooms, Zones, Service Groups, Functions, and Scenes, so there are a lot of ways to ask Siri for what you want. "What's the temperature in the living room?" "Turn on all the outdoor lights." "Turn off the bedroom light." "Turn on the printer in the office." "Turn on the upstairs lights." "Dim the lights in the bedroom." "What color are the lights in the office?" "What's the humidity of my thermostat?" "Set the thermostat downstairs to 70." "Set the good night scene." "Set up for a party." If you own a third-generation Apple TV or newer, HomeKit accessories can be controlled with an iOS device away from home, even when Wi-Fi or Bluetooth are not available and you're using a phone's cellular connection. Siri voice commands are automatically sent to your Apple TV at home through iCloud remote access, and the streaming box then relays the commands to your HomeKit accessories. Many HomeKit accessories also offer remote access through their connected iOS apps. You must be signed in to iCloud with the same Apple ID on your iOS device and Apple TV to use this feature. Along with responding to voice commands, HomeKit accessories can also be controlled through their companion iOS apps. Every HomeKit app includes in-app options for viewing data gathered by HomeKit accessories or for controlling applicable HomeKit products. The iDevices Connected app, for example, has a toggle switch for turning on or off the iDevices Switch smart plug and other accessories, while the Elgato Eve app for the Eve Weather room monitor lets you check the temperature and the humidity. HomeKit products are designed to be interconnected, so most of the apps that ship with HomeKit accessories can also recognize HomeKit products from other manufacturers. 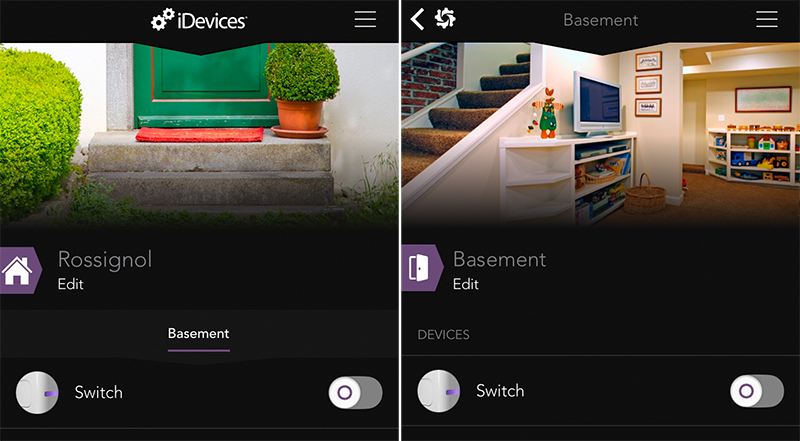 The Elgato Eve app, as an example, can control its own accessories and third-party accessories like the iDevices Switch or the Schlage Sense lock. Likewise, the iDevices Connected app can see and control other HomeKit products like the Eve Weather and the Schlage Sense. With multiple HomeKit products, attempting to manage each one through a separate app can be overwhelming, so it can be useful to pick your favorite HomeKit app and control all devices through that one. 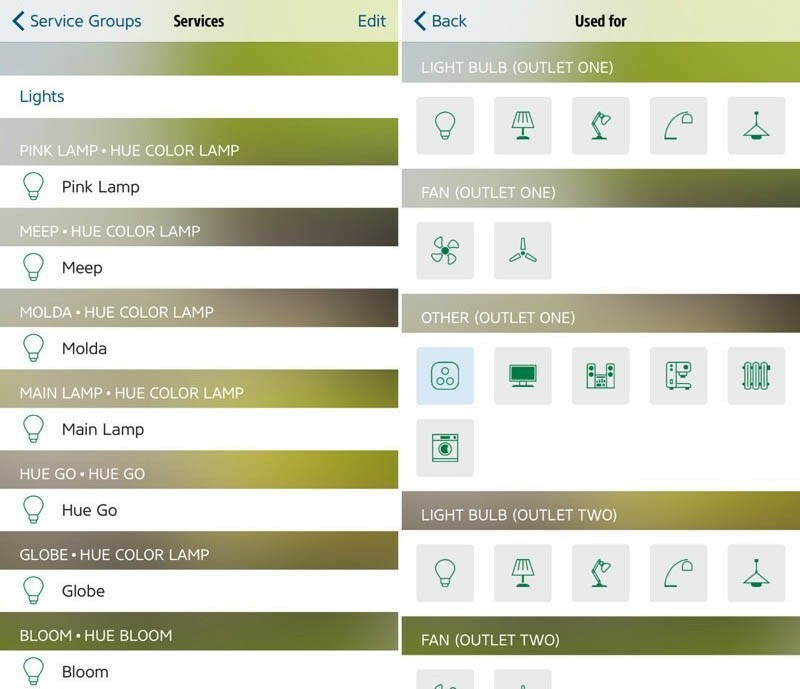 As previously mentioned, while most HomeKit apps can control any HomeKit product, some have different functions, such as the ability to support triggers or change the color of lights. For that reason, it may still be necessary to use several different HomeKit apps with your HomeKit setup. HomeKit utilizes iCloud and iOS security to protect and synchronize private data without exposing it to Apple or others, whether you are controlling accessories at home with iOS apps or Siri, or away from home with a third-generation Apple TV or newer. HomeKit accessories come with an 8-digit code, provided by the accessory’s manufacturer, that is entered on the paired iOS device during setup. Upon entering this code, a security key is exchanged and encrypted‡ to authenticate communication between the iOS device and HomeKit accessory. After a new user is added to a home, all further communication between the paired HomeKit accessories and iOS devices over Wi-Fi or Bluetooth LE is authenticated and encrypted. The accessory’s certification under Apple’s MFi Program is also verified during setup to ensure the product has been approved under company guidelines. The keys are stored in Apple’s Keychain and are included only in encrypted backups. The keys are synchronized between devices using iCloud Keychain, and if the accessory is restored to factory settings, a new key pair is generated. Only the user who initially created the home in HomeKit can add new users. When using Siri to control accessories, or activate scenes, a small amount of information about your home’s configuration, including names of accessories, scenes and users, is shared anonymously with the personal voice assistant as necessary. iOS devices can also communicate directly with iCloud to control HomeKit accessories when Bluetooth or Wi-Fi is not available. 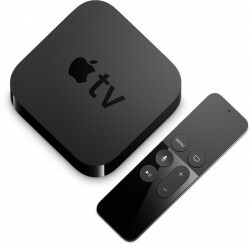 When a user sends a command to their Apple TV using iCloud remote access, the accessory and iOS device are authenticated, and data is encrypted, in the same manner as local communication. Read more about HomeKit's security on pages 22-24 of Apple's iOS Security Guide. ‡ The keys are exchanged using the Secure Remote Password (3072-bit) protocol, and encrypted using ChaCha20-Poly1305 AEAD with HKDF-SHA-512-derived keys. For the most part, HomeKit is a good option for controlling home automation accessories, but the platform still has some issues in its infancy. One of the more frequent problems is HomeKit accessories losing their connection. To reestablish a Wi-Fi connection, the most common solution is to power cycle the accessory by turning it off and on again. Open the accessory's companion iOS app. Remove the problematic accessory, usually by tapping or holding on it and pressing Edit > Delete. Physically reset the accessory. Check with your accessory's manufacturer for instructions. Re-pair the accessory. Read the "How to Pair HomeKit Accessories section" above. 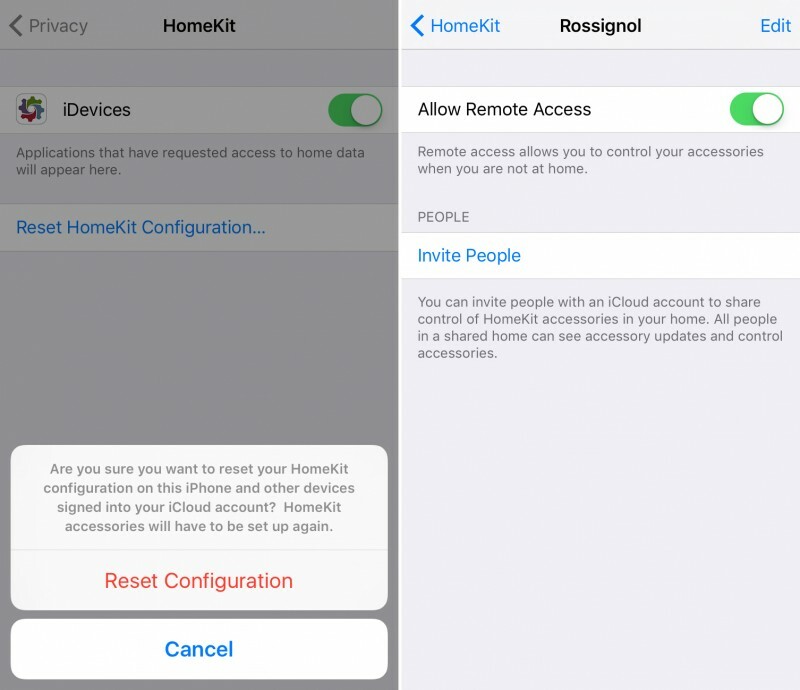 As a last resort, you may need to reset your entire HomeKit configuration, which applies to all iOS devices signed into your iCloud account. HomeKit accessories will have to be set up again after resetting your configuration. Physically reset all HomeKit accessories. Check with each accessory's manufacturer for instructions. Re-pair the accessories. Read the "How to Pair HomeKit Accessories section" above. Sign out of iCloud on your third-generation Apple TV. Go to My Apple ID and turn off two-step verification. Sign in to iCloud on your third-generation Apple TV. Turn on two-step verification again. Apple's using HomeKit support document provides more in-depth troubleshooting tips. For questions and answers, buying advice, troubleshooting and general discussion about HomeKit and other smart home platforms, visit the HomeKit and Home Automation section in our discussion forums. Juli Clover contributed to this report. iOS absolutely needs a Home app. Each HomeKit device's app is widely different from one another, with some offering some HomeKit features, while others missing key settings like rooms and groups. Unsurprisingly, they often conflict with one another and it's a headache getting everything to work as it should. This is the complete opposite of what HomeKit was supposed to achieve. 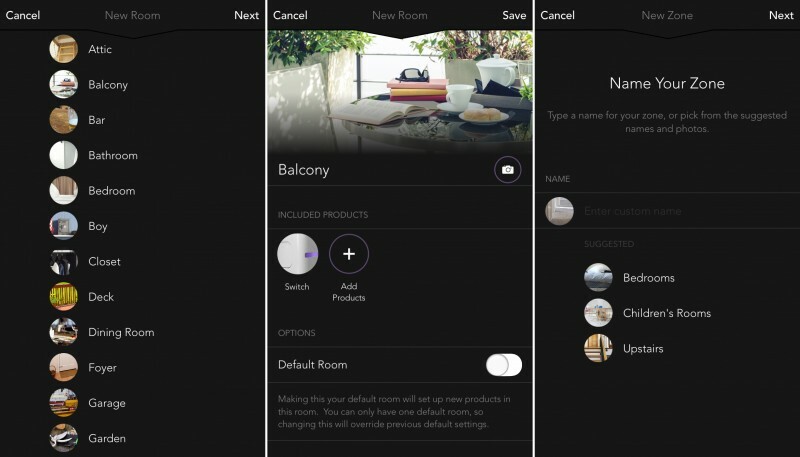 A Home app would allow you to register all your HomeKit devices, create rooms in your home and group objects. It would allow you to write custom Siri commands and set up scenes. HomeKit hardware makers could then release plugins that would appear in the Home app once the device is registered. That way, you would be able to use just one app for all your HomeKit devices and everything would play nice with one another. Am I the only one who doesn't want to have multiple bridges for different home kit products. Letting each vendor create its own infrastructure with its own hardware optionally connected to HomeKit is likely the only way this would work. Otherwise you would have people screaming that Apple is forcing them to <conform to Apple's evil empire/kill children/you name it>. It's annoying that the market is fragmenting with competing standards for home automation. I'm getting a new central heating system installed, for example. I've reviewed various smart thermostats and opted for the new generation Nest Thermostat on the grounds of features and usability. It's compatible with other Nest products, but not with Homekit. 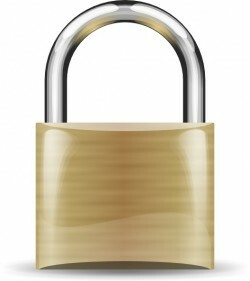 All these kinds of devices are secure, and have embedded chips that run their security protocols. It's just such a shame that this is proprietary. It would be much better for everyone if a common standard were available. Yes! Thanks for making a HomeKit section on mac rumours. Finally! After logging out of iCloud on all my devices, resetting HomeKit and logging back in the Home-app finally recognises the fact that I have a Apple TV on my network. I have the Lutron Caseta switches and they work great with Homemkit. Using Siri on the Apple Watch to turns lights off/on is really fun. Wow, this is a massive thread for just two pages. I've been playing with HomeKit via homebridge since this last weekend and I have learned a couple of things that others might find useful. Notice that there are TWO names for the device. Which one does the Eve app display and modify? That's right, the name that ISN'T used by Siri. Who's to blame for this mess? I say both Eve and Apple. Eve because they clearly didn't bother to understand and test the differences here, and Apple for not properly documenting their API (though maybe they did and Eve couldn't be bothered to read the documentation). Second, I would like to address the comments about how an app shouldn't be needed. I agree that, day-to-day an app shouldn't be needed. The ideal in home automation is that your home responds to your actions in the way you would expect without frustration. I don't want to open an app, or even talk to Siri at all. I just want the lights to come on when I walk in the door. The problem is, how do you set things up so that the system knows things like "these three lights and one motion sensor are in the kitchen"? An app makes setup possible. The ideal is that you spend time setting everything up and then never touch the app again. But then again, our homes; their contents; their inhabitants (you have guests, babies, get new pets, etc. ); our attitudes, expectations, behaviors, schedules are constantly changing. It stands to reason that how our homes react to all of this will evolve over time, and as such an app of some sort will always be needed. For me, the two Ecobees I have (downstairs/upstairs) do a great job of using their remote sensors to figure out when nobody is home (and adjust the temperature accordingly). Granted, I'm running with a few extra sensors, but those were purchased so the Ecobees knew about temperatures in some extra rooms. The extra motion sensing was just a bonus. I'd monitor the thermostat from my phone when I wasn't home and it wouldn't recognize I wasn't home anymore. I just never saw that functionality and customer support was only helpful in setting up, not troubleshooting. Not sure why my experience was so disappointing since I read plenty of positive reviews for the Ecobee3 prior to buying it. It's just my lot in life to suffer I guess (JK, just a pop culture reference). Works good except that my IOLinc is controlling the garage door opener and Siri doesn't like the word garage door - as if it is reserved for official HomeKit garage openers. The homebridge-isy developer said he will try to make it look like a garage door somehow in a future update. There is also issues with scenes and keeping switchlinc/keypadlinc LEDs in sync with each other. Normally ISY handles this perfect but when one directly controls a device with HomeKit, it will not update the other switches in the scene. For example... I have a hallway with two switchlincs. One actually controls the light while the other is hooked up in an insteon scene and is linked together. So if I phyisically turn on/off the light from either switch it works fine. 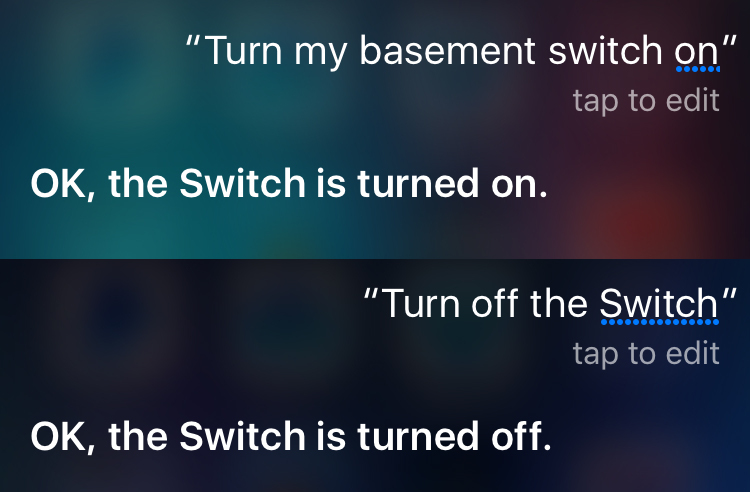 If I tell Siri now to turn off the hallway it does not update the other switch. KeypadLincs are even more troubleshome. The developer if homebridge-isy is looking at solving with special scenes that are controlled via homebridge but it gets confusing with dimmer control. I have fixed/solved this using triggers/programs in ISY - while not pretty, it works.